This Device Guide offers a searchable, comprehensive listing of the available interventional cardiology devices in the United States. Challenging Cases: What Would You Do? Most issues of Cardiac Interventions Today are focused on a single disease state. This issue takes a different approach by enlisting the expertise of seven moderators who engage a total of 19 expert peers to present and dissect case presentations that are challenging and unclear. Their goal for each case is to ask “What would you do?” We hope that all readers of Cardiac Interventions Today will find something of interest in these presentations. Mauricio G. Cohen, MD, focuses on planning for transcatheter aortic valve replacement with panelists Santiago Garcia, MD; William O’Neill, MD; and Molly Szerlip, MD. Dee Dee Wang, MD, then engages Mayra Guerrero, MD, and Marco Barbanti, MD, in a discussion of CT assessment before transcatheter mitral valve replacement. 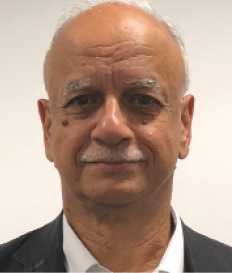 Iqbal Malik, MD, explores a case of prominent Eustachian valve and unusual patent foramen ovale tunnel with Soma Banerjee, MD, Andrew Chukwuemeka, MD, and Jonathan M. Tobis, MD. William F. Fearon, MD, puts Morton J. Kern, MD; Nils P. Johnson, MD; and John McBarron Hodgson, MD, through their paces for diagnosing gray zone coronary physiology. Franz X. Kleber, MD, oversees a discussion of dyspnea in a diabetic patient with previous transcatheter aortic valve replacement with Finn Gustafsson, MD, and Felix Mahfoud, MD. In a case of complicated radial access during primary percutaneous coronary intervention, Pieter C. Smits, MD, enlists the expertise of Mohamed Abdel-Wahab, MD; Peter W. Danse, MD; and Valeria Paradies, MD. To close out our challenging case presentations, Gianfranco Butera, MD, encourages Henri Justino, MD; Raul Rossi, MD; and John Thomson, MD, to think outside the heart when encountering a complex case of congenital heart disease. Gary M. Ansel, MD, and Raghu Kolluri, MD, help us understand the FDA device approval process and the difference between data from premarket and postapproval trials to make informed clinical decisions. Our Coding & Reimbursement column provides an overview of the steps involved in developing a peripheral artery disease program to augment your practice and address an underserved patient population. 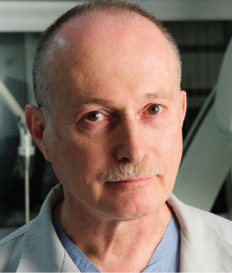 We conclude this issue with an interview with Thomas Modine, MD, who shares his thoughts on transcatheter aortic valve implantation access approaches, evolving technology, and the possibilities of valve-in-valve procedures. Sponsored by Cardiovascular Systems Inc.
As trends in health care continue to move toward ambulatory surgery centers, will you be ready to take advantage of the benefits they can offer? An overview of the steps involved in developing a PAD program to address this underserved patient population. Prof. Loftus shares his thoughts on the impending publication of the UK’s NICE updated guidelines for abdominal aortic aneurysm treatment and the potential effects they may have on practice and patients. A discussion on the current landscape of genetics research related to diagnosing and treating aortic disease. Cardiac Interventions Today (ISSN 2572-5955 print and ISSN 2572-5963 online) is a publication dedicated to providing comprehensive coverage of the latest developments in technology, techniques, clinical studies, and regulatory and reimbursement issues in the field of coronary and cardiac interventions. Cardiac Interventions Today premiered in March 2007 and each edition contains a variety of topics in a flexible format, including articles covering various perspectives on current clinical topics, in-depth interviews with expert physicians, overviews of available technologies, industry news, and insights into the issues affecting today's interventional cardiology practices.